The first two, mainly because I hate shopping for them. The cereal is because it only goes on sale twice a year at Publix and it's D's favorite. Today was stock up on Diced Tomatoes day. 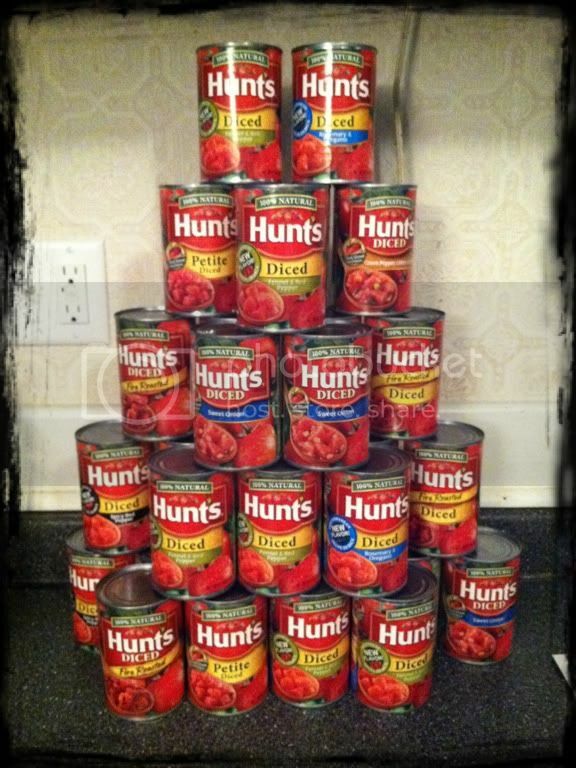 I snagged 30 cans of tomatoes for a whopping $7! The breakdown is just about 25 cents a can! That's 85 percent savings for those doing the math. Tomorrow, I go back to Publix for the cereal. It will only be about 70 percent overall savings, but Cracklin Oat Bran is special. It never has a coupon for it and it doesn't go on sale by itself unless its part of Publix's 50 percent off all Kellogg's cereals. And I have a coupon for $1/3 Kelloggs cereals that expires tomorrow. This is where tracking the sales really comes in handy. I knew these two big sales were coming up so I made sure to snag those particular coupons to match with the sale even before the sales were announced. I don't normally track cycles but these two, I remember. What DO you do with all that cereal?